Mikey Schaefer is no stranger to the great outdoors. As a professional photographer who specializes in shooting in some of the most extreme environments on earth, he tests his body - and his gear - to the limits. In this field test we're following Mikey on a sports lifestyle / editorial shoot with Canon's EOS 5DS and 5DSR, near his home town in Oregon. Take a look at the video above to find out how the 5DS and 5DSR fare in the outdoors, and see a few still images from the shoot below. This is sponsored content, created in partnership with Canon. What does this mean? I have been shooting landscapes with the 5ds for past few months and have been amazed at the improvement in resolution and image quality, including ability to process. I knew this would be better than my 5DIII or 1Ds but the improvement is so much that I am no longer considering switching to Sony. If you need 10+ FPS, this isn't the camera for you. I am enlarging to 40x60s for museum exhibit and could go larger. Shooting in the conditions of this DP report doesn't reflect its capabilities. I do not see the pure and true 50 megapixel, nowhere. If you need take a print or upload to stock - all these pictures need to clean noise and resize. This shooting - a task for the Nikon 610/750/810 or Pentax 645z or else cameras with sony sensors. Maybe even some crop cameras (like Nikon 7200) will give a better result. Show please how 5ds working in the studio with a good and controlled light. Maybe there 5ds will be able to justify its existence. I personally think another field test should be done. If the atmosphere was smoky then there is no reason why these should have made it as final images for the field test in which people will judge the pics on deciding a camera. I think all you guys are great and love the videos, but these pics should have never made it to be posted. I don't think so. Why are the colors in the video so good then and totally different from the photos? The video was on AWB ? Funny how everyone bagged that camera when it came out. would have been better than this hard work. Worked hard, but not got the result as expected, not due to the Camera. I just wanted to chime in here about some of the post processing and colors that came out of the camera. Like Scott Everett from dpreview said lower in the thread, we were shooting in a cloud of yellow smoke. It was like shooting inside a funky colored softbox and we definitely got some weird effects due to it. I think all of us on the shoot would have preferred to shoot in a more "natural" light but we we'd already rescheduled once due to smoke and fires. Like a real commercial shoot sometimes you just gotta roll with it and make due with the situation. Appreciate your comments about the light, but I really don't think the issue here is the light. For ISO 100 images to be grainy (shot of the 3 people on top of the rock) and lacking any critical sharpness must surely point to some sort of technical issue with the way these images are being provided and delivered. The description in the video talks about how sharp the photos are, but these stills simply do not stand up to that description. I have tried looking on an iPad and a large screen PC, I have downloaded the 25MB jpeg and opened in PS, where it looks better, but absolutely not right. Can someone at DPR look again please, I don't feel this does justice to all the hard work, effort and skill of the people involved. Referring to Jeff Svuk's comment on the photos of the 3 people on a mountain: That is really very very bad. I have never seen noise like that on any shots I have taken with 5Ds at ISO 100. It would be important to get an explanation from dpreview. Even taking into account the shadow lifting it remains incomprehensible. Weeell, I can't help thinking that some people are being rather overdramatic here (and it seems that pretty well everything we post on the 5DS/R gets trolled to death) but that aside - in terms of low ISO detail, with good glass attached, the 5DS/R are capable of excellent results. Please consider that the images you're seeing here were processed 'to taste' for catalogue print and video use. We'll post some Raw files in the next couple of days. As a Canon equipment user these cameras represent an aspirational purchase for me, I have no reason or desire to 'troll'. I enjoyed the video, many thanks for producing this. Presumably the purpose of the stills is to give your users a feeling of the qualities of the images that the camera can and will produce. It is here that I have issue, to me there appears to be a gulf between what you are seeing and what as an end user I am seeing. I struggle to believe that 20MB jpegs can look like the images I am seeing, if I am wrong and it is something about the way I am viewing these please try to explain, otherwise as per my original point I believe there is something wrong with how these images are being delivered to end users. Some commenters really need to check themselves regarding the shot of the 3 people on the rock. It was shot at exposure compensation of -1.0. Presumably to preserve the sky and test the pushability of the rest. This resulted in an exposure following the "Sunny 11" rule (Sunny 16 +1). I use this to shoot field sports in broad daylight with the sun at my back or my side. The picture in question is not a scene anything like that. The people have been considerably boosted in post. I'm not surprised at the results at all. Any camera would look grainy after such aggressive pushing. Sure, the D810 would look about two stops better, but it would still be grainy. And the a7r2 might look 1 stop better or less. Also, realize that viewing 5DS/R images at 100% on your computer screen is like looking at an 87" wide print from about 18" away. In other words, not realistic at all. You could print this image very large (20x30"?) and never know there was anything amiss at the pixel level. Barney, i get your point, and Jack puts it in some good words, but (as I've already said in a comment expressing my honest opinion, and no troll intent) I don't understand the late urge to push shadows in almost ALL sampled images (for all cameras, maybe even more to canon, which is about 2 stops worse at it). Yes, we all know that ISO100 pushed by some stops will get noise... i want to see the noise level of an ISO 100 image, the noise level of an ISO 1600 image and so on.... making strong modifications, actually gets a very confusing image, with no real "learning benefits". What does this tells me? "This is an image shot at ISO 100 but pulled and pushed in arbitrary hard ways, and give you noise equivalent to ISO3200 in the dark areas and ISO 400 in bright areas ... but because the bright areas were pulled by 2 stops, you get a bit more dull colors"
... well.... it tells NOTHING to me. Looking at old sample images from 2+ years back (like the ones from 7D i mentioned) give a more honest view on what the camera can produce. I'm OK with having some very pushed images, especially if you clearly say by how much in the comments, and maybe group them together at the end of the sample group or something. Yes, it is a case of real word usage, but, to be honest not a very frequent one, and for those who really is frequent, they switched from canon years ago, by now. So awesome, Blissful, Inspiring, Creative and so……. feels I am there! Thank you for the link. Those excellent pictures, speaks what this camera can do in the hands of an excellent Artist. You don't increase the pixel pitch of a FF camera to be the same as a high MP APS-C camera, and expect the 100% crop pixels to look much different from the 100% crop of a high MP APS-C camera. No manufacturer can offer up that type of magical pixel/lens combination. The truth is if you pull up 100% crop and look at a high MP camera like this, the image *should* look like the 18-20 MP APS-C Canons at 100%...and the only big difference is your wrist/arm gets very tired panning the image around incredulously. Thus the ever downward spiraling industry where pixel peepers care about things that don't matter, and gear that gives them 'more' is of course not judged on what the only purpose of high MP camera's should be for which is cropping and large prints. If your arms are getting tired panning the image around...then yes its serving its purpose of cropping and large prints. Same group of pixel peepers that love AAless pixels, but don't mind the moire that shows in downsized images. Finally found the time to watch the video. Amazing quality as usual with the field test series. Thanks for keeping up with the excellent work! Wow photos don't even have a magic light quality to them. The jpeg's straight out of my A7r look so much better than this without me even trying. I wish better people would shoot these types of images. i couldn't careless about these posted photos and i don't think they represent the true capability of this camera. i have seen some stunning shots, in every aspect, by this camera. i am not sure what lens was used and environmental conditions have a lot to do with photo IQ. I think there is some (or a lot?) post processing in some of the photos. I think the problem is that the areas in which the 5DSR should shine (architectural, landscape) are the areas in which dynamic range and noise let it down. The only reason to get this camera is if you are a landscape photographer already heavily invested in the Canon ecosystem. That is a lot of people. but even some of them would probably get better looking pictures with a A7Rii and an adapter. I think that Canon need to look at putting Sony sensors in their next version of this camera and use their own sensors for all of their lower end cameras. That way they could keep the pro shooters (and the associated "red ring" marketing that they have always enjoyed) and still keep the profits margins from the lower end cameras. The DR is nowhere near as limiting as you make it out to be. I am not a Sony troll. I do not shoot Sony, I shoot with a Nikon D800. Your user name outs you as a Canon troll anyway. If Nikon were trying to push the same poor dynamic range on us as Canon are on their users, then I would be urging them to use the Sony sensor, too (which they already do). I would have probably already changed to another brand if they kept making $3600 cameras that perform worse than a 3 1/2 year old camera that you can buy used for $1400 (D800e) or $1100 (A7R). The last sentence is a really good advice. Beside the rather uninformative field test, there are a lot of good tips inside this video. thanks! If Canon wants to attract attention, they need urgently a M4 aps-c and a M4 full-frame cameras. All other things aren't in the wave, now. That's the fact. why? very few canon users are interested in mirrorless cameras from what i have learned in debating this issue! vast number of users want their camera to produce a good IQ photo, couldn't careless if it is mirroless or not!!! i remember canon ran a questionnaire on DPreview a while back and not a single person showed interest in M3 or mirrorless cameras!!!! I know that in the change from film to digital, a lot of people think the same, and now you can see what happened. Mirrorless is the future, it's really clear, now. Anyway, compared with the competition, M3 is expensive and it hasn't EVF. It's an expensive toy. Although I know that Canon in the near future will raise the price of the mirrorless cameras (as they are raising the price of the lens). Biza, all the samples are not "professional photogs" they are "real world samples" (shot by Barney with the scope to show the camera capability, and not his artistic skills), so chill off, no one is criticizing Mikey Schaefer for example. As i pointed below, the style of PP makes it (almost) useless to make relevant conclusions from the samples. You are on a gear forum, so obviously, most comments come from "gearheads" and not photographers. Some may be "puerile and pointless" comments "pulled out of their hats", how you put it, others can be relevant stuff "for a gearhead" or maybe even a concerned photographer. This article/video is called "Field Test". This implies a gear review focusing on usability in the field. And yes, then some technical discussion can be expected from the "gearheads". "Pulled out of hats" is the very POLITE way to say it. I am sorry but most shoots look unnatural to my eye, really far off what I can see in the Pentax 645Z for instance or the Sony FF sensors in either a Sony or Nikon cam. It looks like highlights were overblown and than tried to get detail out of them getting this kind of weird looks or shadows pulled too much. Whatever it is: I don't like it at all. Yes, but that's nothing to do with the sensor or camera brand, you can do the same awful processing with any image, even one from the 645Z. For example the 8th image (the one with the photographer being photographed while photographing) is a ISO 100 image, but so horribly pushed that it looks worse than a ISO 3200 one, not even to mention the overall failed-HDR look you mentioned about. Yes, we know canon is worse at pushing the shadows than others. Mention it in the review, in the DR scene test, show it in a picture or two (for every camera until they get it, maybe they get it and move further with the sensor tech)... but finally get over it and show also what the camera can do, not only what it can't. Oh i know, it's a canon, you can't push shadows by 10 stops, let's push the shadows in all images. Jorginho - Indeed, nothing to do with the sensor, they were simply unnaturally over-processed. That apparently is the photographer's taste, and many seem to like it believe it or not, like HDR .. people do that on purpose! Any other time that would be fine, but as image samples it makes them useless to me. Photography common error are: Wrong time to take ie too harsh daylight with so much awful shadows it would be fixed with polariser or ND filter, if you are looking at a scene where light should shine on depends on which direction if the scene face east, then wait till late afternoon to do so as sun will go west side this works well for Canon with limited dynamic range like some example photos by Flickr. Morning and late afternoon always best time to do photos. There are some error made by photography that need to be fixed with process, that's the problem. This video provides a new method for evaluating the ergonomics of a camera - can the photographer get the shot while holding an arm bar into the crack of a cliff face. I imagine many MILC wouldn't fare so well in this test. The only photo that impresses me is the last one...the landscape. Lots of detail there. In the photo of the 3 on top of the cliff there is so much noise...@ ISO 100! That is disappointing. More landscapes would show what this camera can do. I suspect that if the photographer had taken even one step closer to fill his frame it would have been his last, ever. Maybe he did the best he could, and cropped to taste to make an interesting photograph. Just not your taste. I think we all know how these will do. Despite my indifference to Canon, I enjoyed both the video and the photographs. I think we get so hopped up on brands and preference that we forget to enjoy the images sometimes. Enjoyed watching the video and the stunning geography. Many ( about half ) of the stills look over-processed and unnatural to my eye ( over sharpened / colours too saturated ) but I accept that this is subjective and others will disagree. Thank you. I showed this to my 13 year old son who has an interest in photography and cinematography. He watched the whole thing. Nice. Ignore the brand bashing clowns. It's not brand bashing but this is anti-propaganda system. It never is to the brand bashers. Great video, great pictures and amazing composition. Thank you ! I think this video is very nice to watch. Great nature and passioned photographer and sporters. That is what photography is all about. Go out and shoot, with whatever brand/gear. They put a lot of effort in making this video and most comments are nitpicking. Sometimes I ask myself how many visitors of review sites are actually enjoying photography ;-)? I make my living with photography. And pixel peeping mostly happens online at forums and comments on reviews. Clients don't do pixel peeping most of the time. The want images which suits with their needs. Even if some images seem to have too much noise for your needs or expectations. That is mostly seen only on your screen at 100%. As soon you start to print the images most images will look just wonderful! Only two compliments for the video I see so far I believe. 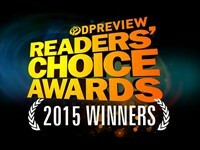 Why would Dpreview make another one, if complaining is all they get in response.. I really almost never met these silly brand bashers among real photographers in the real world. It is an online hobby. appreciated their efforts, of course. But still, Canon sensor is different from Sony sensor - one has to expose correctly (ETTR doesn't hurt), that's all. It's neither nitpicking nor pixel peeping if the results don't represent the best of what this camera can do. This is exactly how marketing works: I show you a nice video and you buy the product without taking a look at the real performance. Maybe... I just prefer such a video instead of numbers and figures as in most reviews. Great video show...and it explains a very simple fact that dSLRs are better for outdoor shooting than mirrorless. The level of noise and colors on some of these pics are not great. Were they underexposed and processed heavily? Yes pretty much the case it is. Surprised by how often a lens hood was left off. As a Canon fanboy...most of these shots look AWFUL. What am I missing (on the ISO 100 ones)? I have seen plenty of low-ISO shots that look great, some of these are phone-quality. Since you have no photos in your gallery, can you point us to some of your own photos which demonstrate your expert status? Awwww, you're so edgy...I bet you really got a rush just typing that! Look at the one with the two climbers and photographer. ISO100. Zoom in to 100%. If someone asked me to guess, I would have thought 3200 or above. It just looks bad. Some of the other ISO100 shots look fine, especially some of the earlier ones they took in Seattle. You do realize that viewing 5DS photos at 100% on your computer is like looking at an 87" wide print from about 18" away. In other words, idiotic. Also, that shot was taken at EC -1.0 and then obviously boosted in post. I'm not surprised at the results at 100%. I've seem samples pictures from the Canon 5Ds/r before, I have to say this bunch are the worst in terms color rendition, sharpness, noise performance. If I know nothing about the Canon 5Ds/r, I don't think I would put up with over 3 grants for this camera. Hmm, compares well to the Olympus Em5ii in high res mode. Or not...far noisier from Canon, far lower exposure range by Canon, inaccurate colors by Canon and even sharpness (contrast) is lower. Only real benefit is you get photo with a single frame and handheld. Don't know what happend but so much noise on iso 100..can't imagine it's the camera,i have seen a lot of samples and they where much cleaner. Yes, really bad postpro. Too much haloing, and most importantly, sub-optimal exposure. At iso100 the 5Ds is capable of producing clean shadows. The photographers need to learn more about the metering and histogram. I don't get this. Why use Sony's A7RII, Nikon's D810 or these Canon's for action shots? None of them has a hope of delivering their native resolution under those conditions. It would be better to use Sony's A7SII, Nikon's D4s and whatever Canon has less resolution and more AF speed on tap. The A7SII is no more an action camera than the A7rII. Well, mirrorless AF still has a ways to go to match a top-flight DSLR, but at least you can ratchet up the ISO when needed with a 12mp camera. A A7sII is still going to be no better than a A7rII at action photography. All the same issues are still there. It's actually much worse then the A7rII for action. The R version actually has a decent on sensor phase detect system. The A7s(2) is made with video in mind. I'm more than likely going to be getting the 5DSR in the near future. Great field test. Thanks guys! You can't drive a Toyota wearing this t-shirt. Thanks for doing this dpreview! Great job! I already have this (5DS) awesome camera and have done tennis and model shoots with it. Having said that, I think a lot of people are looking forward to your full review. Cheers. Glad to see follow up to 5DS/R preview and other articles already published. I'm sure that this cameras provide a lot of challenges for generating full review so we should be patient. Good job and thanks for an updates, much appreciated. I really like the tone of these videos - calm and understated but still lots of information. It is a nice break from the over-caffeinated pitchmen that seem to be all the rage recently. This "field test" review style is really nice to watch. Well done. Is it just me or do the colors seem ... well ... just not quite right, with candy colors overemphasized and subtle hues seemingly desaturated and brownish? Anything to do with the smoke haze that they mentioned several times? It's not just you. Our team was in Oregon right at the peak of the wildfires, so there was a general yellow smog in the northwest. We're pushing instagram to release a "Forest Fire" filter, they haven;t responded to our emails yet though. I really like the quality of your videos, it is a very welcome addition to DPReview. I think this is pushing the 5DS series to its max, it is being used for scenarios it is not designed for and it still works admirably. In that respect is is much like the 6D that has been put down for being a single purpose camera, but which still works a lot better under a lot more scenarios when people actually use one. I find it very hard to see what the image quality is, I really would like to compare A3 format prints to find out. Image quality is more than dynamic range and noise and Canon makes other choices than Sony does in this respect. Much to the horror of a lot of people visiting these forums, but for me it is hard to ignore that unmeasurable part of image quality, which could be 'taste'. Canon is consistent in this, to my eyes at least. Having said so, let the "it is not a 7RII" crowd role in. Ill never complain about the size and weight of my cameras/lenses again when hiking! 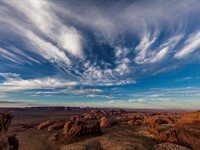 Them's some noisy landscape images! I lost my hearing looking at those. I have a question Barney, the camera takes very good pictures but as your A7rII piece pointed out is not a sports camera, is the 5ds the appropriate camera to haul up the side of a cliff or would another camera be a better selection? The Canon has very few lenses available to it with stabilization, I am glad you showed it on a tripod for maximum resolution. I'm vote sony, ibis over tripod imo. What do you mean by sports camera? Most sports is shot in good available light. Almost any DSLR can be a good sports camera. Shooting sports is more about technique than the camera. Its mostly about anticipation. I shoot sports with a two year old camera, the Canon D60, with good success. I typically shoot at F8,500 with or without IS depending upon the sport. You can haul any camera up a mountain, the question is do you know what to do with it once you get there. 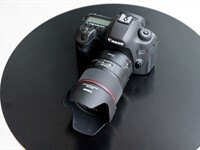 The Canon 50ds can use any EF-S Canon lens..There are enough lenses there or use a monopod. By sports camera, he would presumably be referring to the focus capabilities. All cameras are very far from equal in that area. Well done on the video! I had butterflies in my stomach when you guys were standing over the cliffs; don't think I could've done that, let alone with a camera in front of my face. Nice shots of Smith Rocks...they seem a little dark and WB seems a bit off. By the way, the fellow's slack line and gear were stolen a couple of days ago. yes, i agree... unfortunately the latest trend in DPreview is to post process the images in such a way that is makes looking at the sample images useless (just insane level of pushing and pulling) ... so downloading and evaluating the raw files yourself is the only way you can really have samples of what the camera produces. 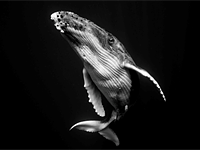 In a recent interview with My Modern Met, Australian photographer Jem Cresswell describes the intricacies of his project, Giants, a series of stunning underwater portraits of humpback whales during their annual migration to Tonga.